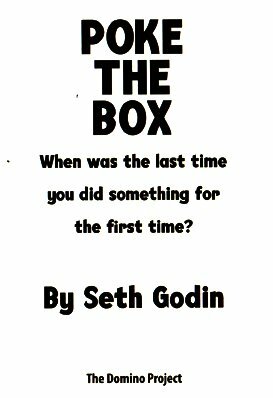 “Poke The Box” is the first Seth Godin book I’ve purchased having become familiar with his blog posts, interviews, videos, lectures and talks. The book was mentioned on an internet marketing podcast that I listen to regularly so decided to order it on a whim. The central theme hinges on the notion of starting by taking action. Are you working for an organisation and considering some kind of transition from employee culture to that of an initiator or businessperson? This book would be a good starting point. You can get it here on Amazon (affiliate link). I am still in touch with ex work colleagues looking to set up their own ventures, and I believe the real value of this book is in lending it to those you know to pass on a little bit of inspiration. The book is about dispelling the fear of failure and inhibition when we want to begin a new project or activity. Lack of imagination, poor attitude and society’s disapproval of those who upset the applecart is something perpetually holding the best of us back. “Here’s what’s missing: Instigation. Initiative. The forward motion that breathes life into an organization and teaches us what works. We’re waiting for the one who explores, creates and makes a ruckus. We need you to poke the system and see what happens, to learn from it, to adjust and to repeat. Throughout the book typical examples of society’s unfilled potential are cited, acting like a baseline for recognition and a call to action for those on the cusp of a new project. 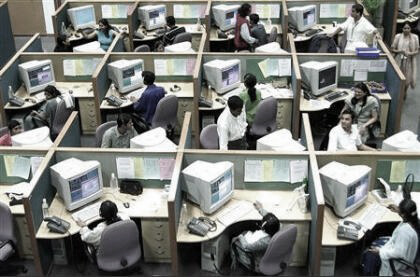 I picture rows of office cubicles in some desperately mundane place where anonymous workers perform their daily routine to a backdrop of omnipresent duty. To think their own thoughts or draw attention by pursuing personal goals is deemed unacceptable by peers. Sadly, this attitude is all too common and is the view challenged throughout Poke the Box. Seek out failure, says Godin. Seek out the setbacks and deal with them quickly so you can learn fast. Move on with your project instead of fire fighting or wasting energy. This isn’t about looking for trouble or setting yourself up for catastrophe. It is the attitude of being willing to experiment, to be comfortable with discomfort in the pursuit of success. Set yourself a challenge but almost with casual abandon so your emotions are not so heavily tied to the outcome. I understand the angle here but the inexperienced individual must never trifle with recklessness for the sake of it. Someone who has already adopted the approach championed throughout Poke The Box might find themselves scanning and skipping sections. There are tropes, clichés, rhetoric, motivation and persuasion throughout which could be wasted on a person already actively practicing what the book preaches. I felt I’d heard it all before in other business and marketing books. As ever, the real results come from the reader if they choose to act. Simply absorbing information is not enought and I’m glad to say the book never shies away from the fact. The other thing that struck me is how small and thin the book is next to other long-form marketing titles. But then I remembered it is by an author known as a blogger with an abridged writing style. The paragraphs often comprise of only two sentences but I suppose this gives extra punch and breathing space to his statements. Everything is broken into small sections and reads more like a set of bullets for a meeting agenda. Technically speaking, some of the sentence structures aren’t great, but for a book about innovation, why obey the rules? One thing that did bother me were the frequent spelling errors. On one occasion I told myself the author was somehow being novel and including deliberate typos to make a point about the perception of failure. 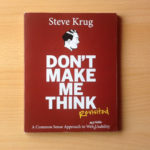 He may have purposely included digressions to demonstrate an un-perfect product – his book – but spotting other mistakes made me realise I was just looking for meaning within the context. If these mistakes really are just typos, it makes the entire book feel ever so slightly rushed. Although not a practical how-to guide, it’s an inspiring work and as part of a varied diet of other books, information, podcasts, blogs – whatever – it certainly has its place. Check out some of Seth Godin’s YouTube appearances if you haven’t already because I do find him very interesting.